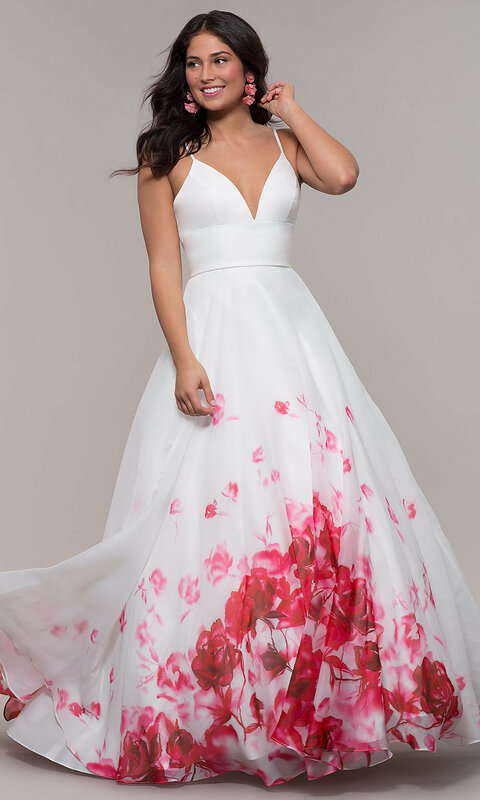 A watercolor floral print splashes across this long ivory white ball gown for a look that is both gorgeous and impressive. 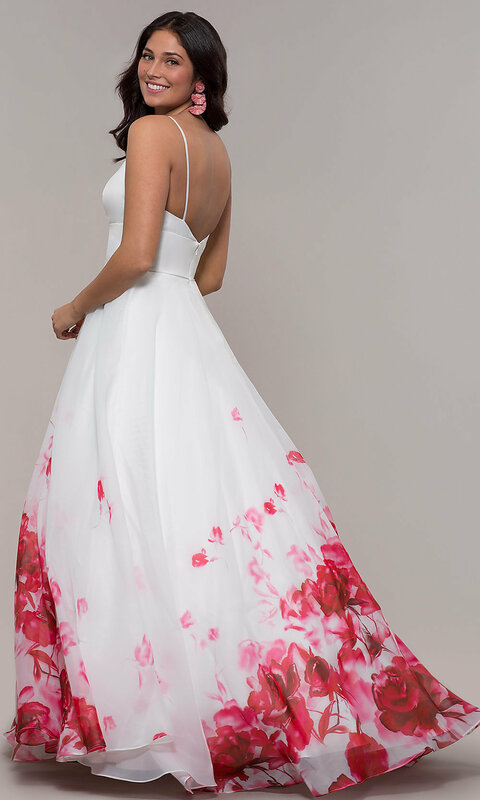 Beautiful for a prom event, a Quinceanera celebration, or a pageant, this lovely organza dress is exquisite for the fashion-loving girl who knows how to make an entrance. The long formal dress has a fitted v-neck bodice with thin spaghetti straps that drape over the shoulders before crossing the open back. 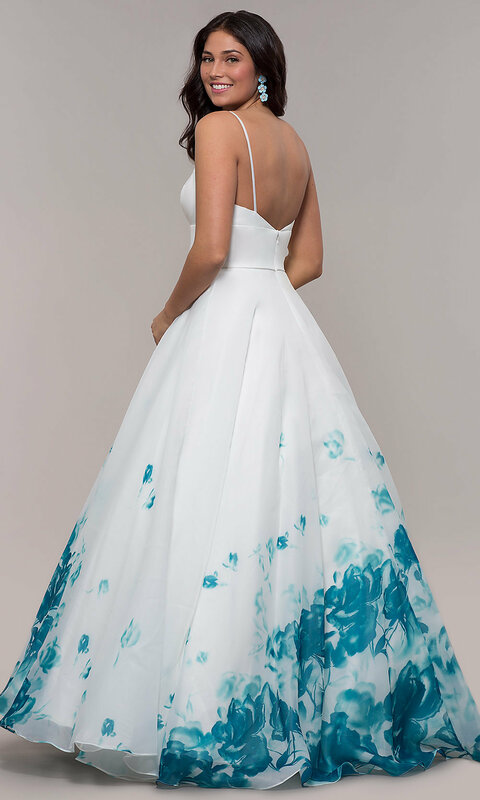 Layers of silky satin and tulle provide volume to the ball-gown-shaped long ivory white skirt that contrasts beautifully with the vibrant floral print. Feel like a princess from a fairy tale in this long ivory white ball gown that is sure to take the room by storm.